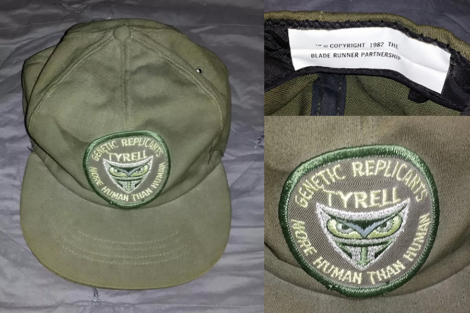 Spotted on eBay: A listing for an original Tyrell Corp cap, made by The Thinking Cap Company in 1982. In the film Blade Runner, this logo appeared in only one scene, where it could be briefly viewed on Dr. Eldon Tyrell’s robe. 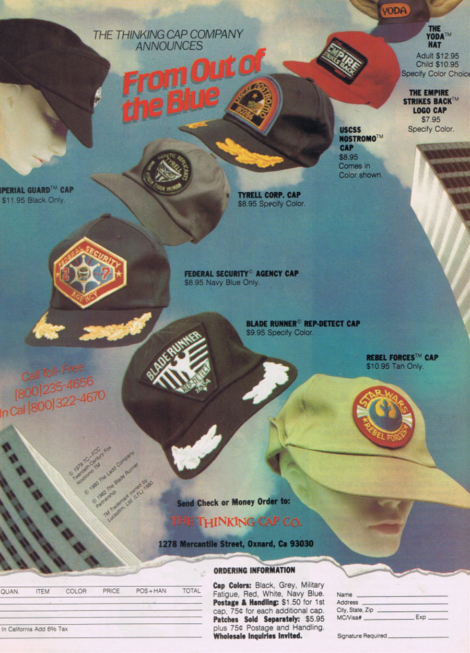 The advertisement and order form for this cap appeared in Starlog Magazine, where it could be purchased for in one of a variety of colors, for $8.95 plus shipping and handling.